How to Enter: Use the Gleam widget below to enter for your chance to win a new $300 Miele C1 compact Pure Suction Canister Vacuum. The giveaway starts November 27, 2018, and ends December 27, 2018 at 11:59pm EST. You can enter a variety of ways using the Gleam widget below. The more ways you enter, the greater your chances of winning the prize! Giveaway Duration: The giveaway contest runs from November 27, 2018 – through December 27, 2018 (11:59 PM EST). Entry: To enter the giveaway use the Gleam widget above. You can enter this contest through each of the various methods described above in the Gleam widget. Only entries verified through the Gleam widget will be counted. Eligibility: No purchase necessary to enter. The giveaway is open only to residents of the United States, 18 years of age or older. Shipping only to U.S. Address. The Winner: There will be one (1) winner. The winner will be randomly selected based on the total pool of entries. A winner will be drawn within 24 hours of the giveaway ending. Winner will be contacted via the email they supplied when entering the giveaway. Winner will have three days (72) hours to respond and accept his / her prize. Non-response and / or non-acceptance of the prize within 72 hours will result in disqualification. 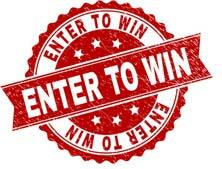 In the event a winner is disqualified, a new winner will be selected until a winner has confirmed acceptance of the prize. Winner must provide a valid U.S. mailing address in order to claim prize. Prize will be delivered directly from a retailer, by various methods of shipping. A tracking number if available will be provided to the winner. Referring Friends: If you refer a friend on the Gleam APP above, the action will count as completed after the friend clicks on the link and completes at least one action. Taxes: There may be tax implications with accepting a prize. Winners will be responsible for reporting and paying taxes (if applicable). Contact your tax adviser if you have any questions related to this. 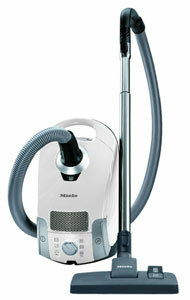 About Miele Canister Vacuums: Miele is a German company that makes the finest quality canister vacuums on the market. They are tested to last 20 years. All of the Miele canisters have stainless steel wands, superior filtering, and variable suction control for all your needs. We highly recommend this brand of vacuum. 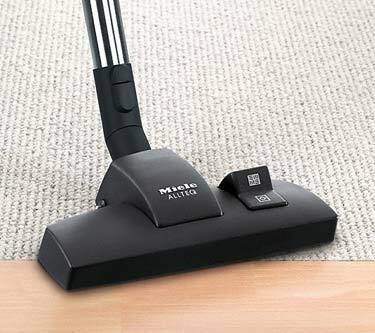 The Pure Suction C1 model is one of Miele’s least expensive canister vacuums, yet it retains the high quality Miele is know for. It is primarily for hard floors and low pile carpets. The suction control has 6 settings, the lowest of which is very quiet. At low, you can vacuum rugs, and drapes without having them suction lock onto the vacuum. At the maximum setting, the suction is extremely strong for pet hair and heavy dirt/dust. The C1 model comes with an SBD 285-3 Floor Tool tool made for low carpets or hard floors. Miele’s AirClean filtering system removes dust and allergens from the air. The room air is cleaner than before vacuuming. The self sealing bags trap dust and dirt, so dirt and allergens can’t escape. Miele’s 7 year motor warranty. VIDEO: Miele Bagged Canister Lineup for 2018.